RICHMOND, Va. – Virginia Gov. Ralph Northam faced intense backlash on Wednesday for comments he made about a fellow Democrat’s abortion-rights bill, whose sponsor said it would allow abortion right up to the final moments of pregnancy. “Republicans in Virginia and across the country are trying to play politics with women’s health, and that is exactly why these decisions [to have abortions in the third trimester] belong between a woman and her physician, most of whom are men” [as if that had anything to do with anything]. Northam’s spokesman said no one should ‘extrapolate,’ presumably suggesting the governor might be open to more than “comfort care” if the baby were “viable” or if the child did not have “severe deformities.” If you believe that, you’ll believe anything. Two things. First who gets to decide if the baby is “viable”? The abortionist, of course. Second, if the child has disabilities—“severe ” [whatever that means] or otherwise– Gov. Northam gives a one-thumb-up to comfort care and resuscitation (the latter only if the aborting woman and abortionists agree to it). Pro-lifers are always being accused of “misrepresenting” what pro-abortionists are proposing. That works a lot of the time because most people cannot fathom that Democrats are as abortion-crazed as they are. Gilbert: To the end of the third trimester? Gilbert: So where it’s obvious that a woman is about to give birth, she has physical signs that she’s about give birth, would that still be a point at which she could request an abortion if she was so certified? [pause] She’s dilating? Tran: Mr. Chairman, that you know, would be a decision that the doctor, the physician, and the woman would make. You can watch the dialogue here. 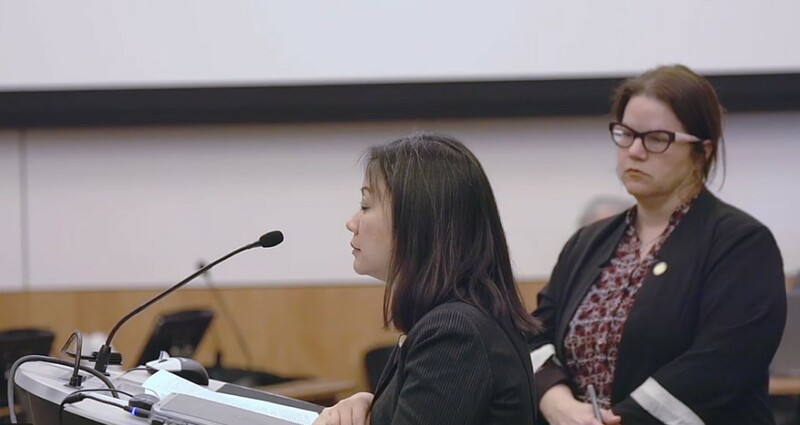 The only thing more amazing than the scope of Tran’s bill is the utter blasé way she answers Del. Gilbert’s queries. The bill is aptly called the Repeal Act because not only does it repeal any and all limitations on abortions in Virginia, but also because it repeals commonsense, mercy, and compassion.